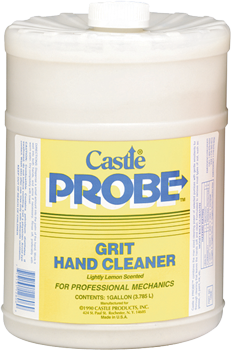 Castle® Probe™ is a lotion-type hand cleaner with suspended pumice for effective cleaning. 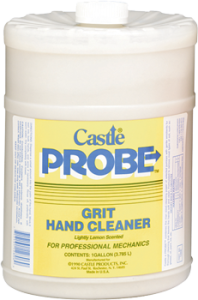 It is formulated to clean ground in dirt, grease, oil, paint, ink, etc. Gentle emollients have been added to protect skin. Available in lemon, vanilla, or citrus scent.